In a world of ever increasing work demands and greater expectations of ‘having it all’, a cyclical model where work feeds your soul and this feeds back into your personal life and natural self development is something I completely resonate with. 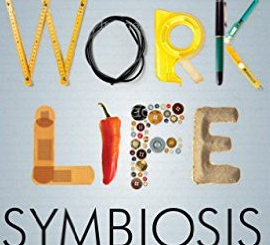 Claire has created a practical and insightful Work/Life Symbiosis model to offer a new ethos. Using real life examples, amusing anecdotes and simple and practical tools that can easily be implemented, she hopes to enable busy people to understand what’s really important to them in life and help them align their choices with this. The model allows the reader to easily identify and understand factors that enable them to make work ‘work for them’. It is an eye-opening book drawing on the personal and professional experience of a mother-of-two, working part-time as a Human Resources director with a global remit. It is easily readable with hard-hitting impact and it moves the discussion of work/life balance into uncharted territory. I say: Read it. Apply it. Live it. Love it. Claire’s experience and choices as a mother have shaped her focus to make a difference and take real action. A great example of flexible working equalling great success and fulfilment and showing that part time can definitely improve productivity.